Newbridge Hotel in Newbridge has accommodation. The pub has a beer garden, it has a car park. Newbridge Hotel gives a warm welcome to dogs and their owners. The pub is a family friendly pub, it serves food. Newbridge Hotel has a function room that can be booked. The pub has an outside area, it has a real fire. Newbridge Hotel has a smoking area. The pub has free WiFi, it has a dart board. Newbridge Hotel has DJ's. The pub has karaoke, it has live music events. Newbridge Hotel has a pool table. The pub shows football on TV, it has Sky Sports. Wexa Sports in Crumlin has a dart board. The pub holds quiz nights. Railway Hotel in Crumlin has a dart board. The pub has DJ's, it has karaoke. Railway Hotel has live music events. The pub holds Poker Nights, it has a pool table. 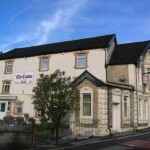 Railway Hotel holds quiz nights. The pub has a big screen, it shows football on TV. Railway Hotel has Sky Sports. The pub has terrestrial TV. Cwtchers in Newbridge has a dart board. Three Horseshoes in Pentwynmawr serves real ale. The pub is a member of Cask Marque. 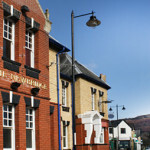 Crown Inn in Abercarn is a family friendly pub. The pub serves food, it serves real ale. 31/03/2013 Took our children there for easter brill!!!!!!!!!! 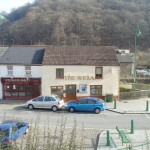 Abercarn Rugby Club in Abercarn has a beer garden. The pub has a function room that can be booked, it has an outside area. Abercarn Rugby Club has DJ's. The pub has karaoke, it has live music events. Abercarn Rugby Club has a pool table.